Drinking alcohol after learning information appears to aid the brain’s ability to store and remember that information later, according to a study of at-home boozing in Scientific Reports. The memory-boosting effect—which has been seen in earlier lab-based studies—linked up with how much a person drank: the more alcohol, the better the memory the next day. 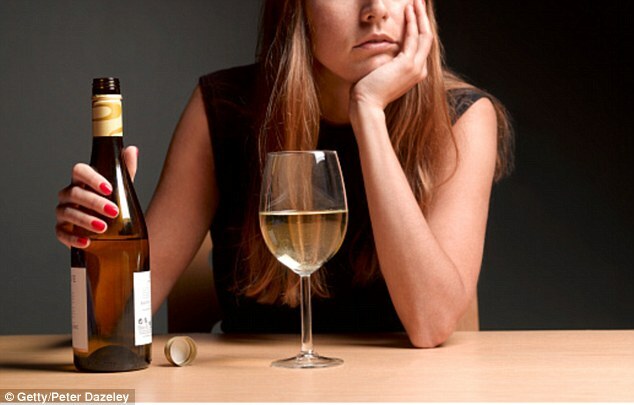 The study authors, led by psychopharmacologist Celia Morgan of University of Exeter, aren’t sure why alcohol improves memory in this way, though. They went into the experiment hypothesizing that alcohol blocks the brain’s ability to lay down new memories, thus freeing up noggin power to carefully encode and store the fresh batch of memories that just came in. In other words, after you start drinking, your ability to remember new things gets wobbly, but your memory of events and information leading up to that drink might be sturdier than normal. For the study, Morgan and colleagues recruited 88 alcohol-imbibing adults (between the ages of 18—that’s legal in the UK—and 53). The experimental procedure always began around 6 pm in a participant’s home and wrapped up around 10 am the next day. Researchers tested their memory performance either before and after drinking or without any alcohol. Then at about 8 pm, after the word madness, half of the participants were randomly assigned to drink. They could drink however much they wanted, as long as they kept track. The mean amount of alcohol consumed over the evening was about 82.6 grams, which is equivalent to nearly six standard US drinks (14 grams each). The other half carried on sober. At 10 pm, after some were tipsy, participants started another memory challenge, this one involving pictures. Participants saw 128 images on a screen and were asked to classify them as either “indoor” or “outdoor.” For instance, a video cassette would be an indoor item, while a giraffe would fit better outdoors. Then, the participants saw a jumble of 192 images, some identical to the ones in the initial set, some similar, and some completely new. For example, there could be the same giraffe image, an image of giraffe in a different position, and a never-before-seen image of a hat. The participants had to correctly sort them as old, similar, or new. With that, phase one was over. Drinkers could keep drinking if they wanted, and all participants turned in for the night when they liked. Phase two started the next morning at 10 am. The participants retook the word test, then redid the image test (this time with a slightly different set of 192 images). The researchers expected that drinkers would do relatively better at remembering the made-up words in the morning compared with their evening scores and the scores of the sober group. On the other hand, researchers expected drinkers to bomb the image test the next morning, while the sober group would have a decent recall. They were partly right. The drinkers did indeed perform better at the made-up word challenge. The sober group showed an ever-so-slight decline in remembering the words between the evening and morning tests. But the drinkers scored statistically significantly better the next morning than they did in the evening—not just the same as the evening. This hints at the idea that alcohol doesn’t simply help reduce forgetfulness; it may instead firm up freshly formed knowledge and enhance memory. Still, the results of the image-based memory challenge were not so crystal clear. Drinkers didn’t do worse than the sober folks. They all did about the same in both evening and morning tests. With just the results from the word test, researchers might be inclined to think alcohol enhanced memory by disrupting memory encoding in the hippocampus, an area of the brain critical to memory. But without the confirmatory result suggesting that alcohol disrupted post-drinking image memory, “this claim should be made with caution,” the researchers concluded. The study does back up the earlier lab-based drinking studies that found alcohol improved memory. This suggests researchers can use more natural drinking settings to study the effects of alcohol moving forward. In those future studies, researchers may look into the role sleep may have. The researchers note that alcohol can increase slow wave sleep (SWS), or deep sleep, which is also crucial for memory encoding and storing. Thus, their new hypothesis is that alcohol-enhanced memory may be a consequence of boosted SWS rather than interference with new memories. That’s for the next round of soused science.